I’m a day late with my update but I was just so busy trying to meet deadlines with stitching pictures for birthdays this week, check in later to see if I met them lol ! On the stitching front I only got picking up my needles on Friday night and I managed one and a half dishcloths. I’m pleased with this as I never got back to them, not bad for one night. I’m nearly caught back up again now. 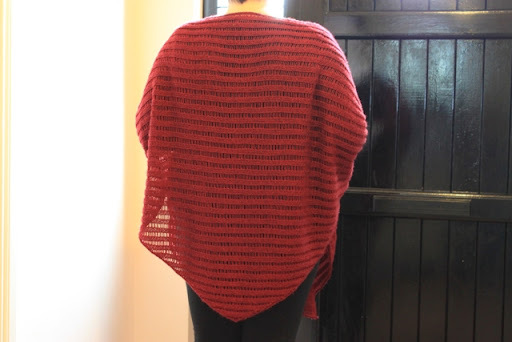 This marks the last week in this YOP post, its hard to believe that a year has passed and although I didn’t do all on my list, I’m not overly worried about that I am pleased with having given my knitting some structure. I think for next year a little less structure but still keeping with the walls of YOP’s guidelines. Next week I hope to give a run down of some of the things on my list, there is one part of my list that I can’t just reveal until the middle of the month but I certainly have enough to keep me going for a week or two anyway lol. Here are a few pictures from this last year. My shawl- a total first for me and something I love to wear and one of the few things that ended up for myself lol. 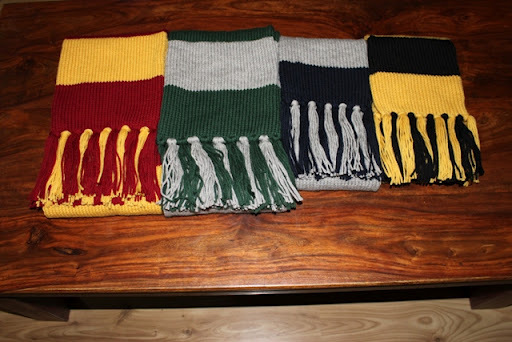 The Harry Potter scarves, who could forget these. I think these are the project I’m most proud of from this past year. I love them and the children just adore them. 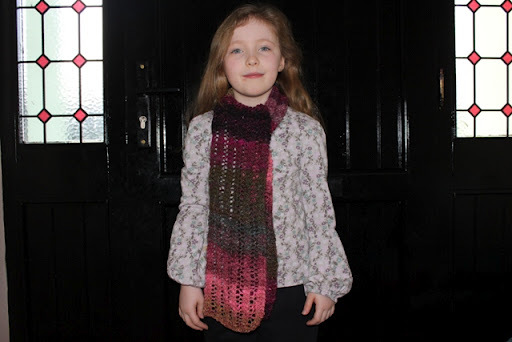 One of the scarves I knitted this year, these are going to make handy presents this year ! Who could forget that this is the year I knitted socks for the first time and if given enough time something I would do very often ! A life long love has begun I think ! 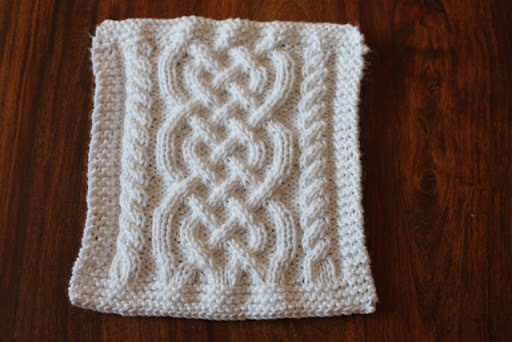 Who could forget a dishcloth, you know I love knitting them and I simply couldn’t have a run through without at least one from the many I knitted. This cable one is one of my favourite. And what would a Harry Potter House Scarf be without a beanie hat to go with it. I’ve three done and just one more to do. This is just a tiny look back through some of the projects, what I will take away from this year is how I tried things that I wouldn’t not normally try. I stepped outside the box and it was all done with the help of a great group in the YOP group. I enjoyed tremendously visiting their blogs and seeing what wonderful projects they were working to and if I got more things added to my wishlist from doing that all the better. I look forward to doing it again this year !! Thank you to the wonderful YOP group and here’s to a successful 2nd year ! It's been a great year. I'm still absolutely amazed by your HP scarves and beanies. 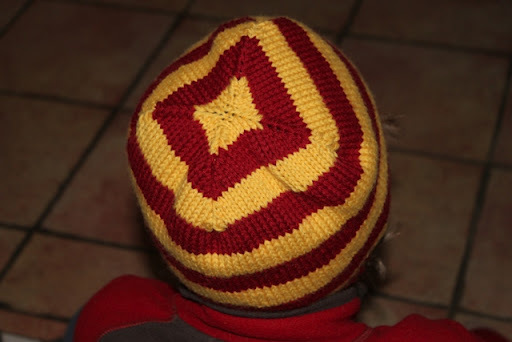 I knit one, and was thoroughly fed up with it by the end. No chance of getting me to do another for a while.Sock knitting is great fun – so many delicious yarns and so many interesting patterns. Year of Projects is what you make it, and you've got some awesome accomplishments to show for it! Can't wait to see what you do next year! The scarves look great there all together, isn't it brilliant we've all learnt new skills together, I know that is what has made my YOP so rewarding.I really like the cabled cloth, I think I'll have to look that one out.Looking forward to seeing your plans for the next one! 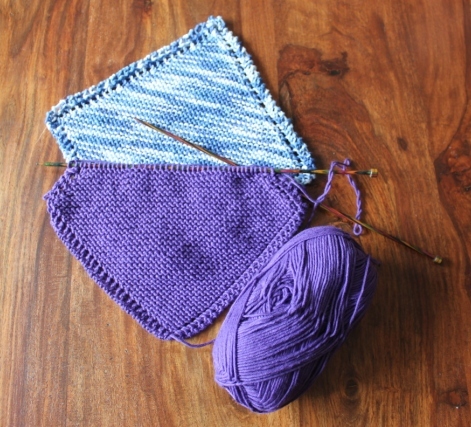 I hope to, someday, make Harry Potter scarves. I'm not sure I'll have a need for them in California but we'll see. I'll make it work 🙂 I've been pondering how I want to structure my second YOP (which won't start until January). I do like what I've done but we'll see. I still have 26 more weeks to think about it. Thanks for your visit and encouragement. The repair people still haven't called, but fingers crossed…things seem to be working again. Hope it's not temporary. Love the shawl and your cable! Hard to believe our year is over, don't remember when I started; but it sure gone fast. still love those scarves. 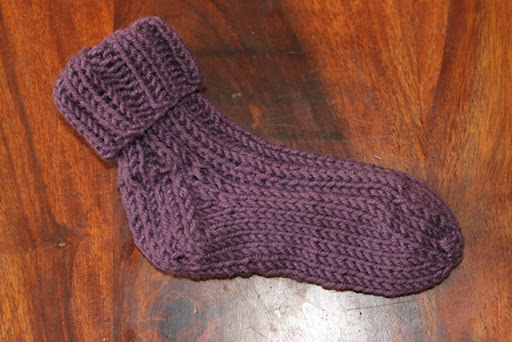 I am going to make them to wear at harry potter world this winter, since i was never able to make my hermione socks. Great projects! I love the Harry Potter scarves, too. You've accomplished some great projects, Ruth! Cheers to you.